Billings Livestock Commission is located just west of the junction of I-90 and I-94, at exit 455 (the “Flying J Truck Stop” and “Pilot Town Pump Truck Stop” exit) on the North Frontage Road. You can see us from the interstate. Back in 1934, the Wolff Brothers left Denver, Colorado and landed in Billings, Montana, striking up a partnership with the late Arthur “Art” Langman. Originally, they created a horse and mule auction and later added cows and bulls. Located on First Avenue North, they leased facilities from the Northern Pacific Railroad and set up shop. Billings Live Stock Commission was the hub market as the Wolff-Langman Partnership developed markets also in Great Falls and Miles City, MT. Along with auctioneer, Norman G Warsinske and cattle buyer, Lyle Devine, they created a livestock merchandising endeavor that has never been equaled. In later years Art’s son, the late A.J. “Jerry” Langman and Ralph Cunningham, along with a fieldman by the name of Conrad Burns, now Montana’s US Senator, continued the BLS tradition. During the late 1970’s Scott Langman, Jerry’s son, became the third generation operator and moved the Billings Live Stock Commission to its present location on the North Frontage Road east of Billings. In 1984 Scott sold the business to Patrick K. Goggins, who operated it for some years. Pat sold it to Jack McGuinness, who operated it for sixteen years. BLS was purchased in 2003 by Goggins, who totally rebuilt the stockyards, revamping it from head to tail. BLS sells cattle every week on Thursdays for all classes. The 4th weekend of each month, BLS becomes the “Horse Selling Capital of Western America”. 500 to 1100 head sell on any given weekend. 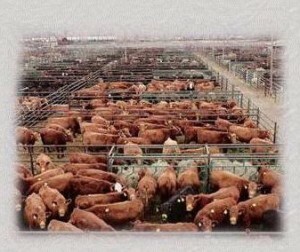 The Northern Livestock Video Auction base operation is also located at BLS. Several video sales a year are staged to an international market. One of the oldest, continuous livestock auctions in America, BLS is a great tribute to its pioneer founders. Consignment forms are available for downloading off our web page or call our office at 406-245-4151 or e-mail us at horsesales@billingslivestock.com We’ll be glad to get one to you! We want to work for you! The earlier we receive your consignment, the better job we can do for you – all the way around! We update our website regularly and want to list our early consignments – even if you plan to sell your horses two sales from now, get them to us! Billings Livestock is located at the junction of I-90 and I-94, exit 455 (the “Flying J” exit) on the north frontage road. You can see us from the interstate. Our physical address is 2443 N Frontage Road, Billings, MT. Our mailing address is Box 31533, Billings, MT 59107. Airport: Logan International Airport here in Billings is served by four major airlines: Delta, Northwest, United and Frontier. Big Sky Airlines also serves our city. Access to Billings is easy with direct flights through SLC, Denver, Minneapolis, Portland, Las Vegas, and Phoenix. We love photos! And, if they are good ones, help market your horse. We’ll use them in the catalog or on the web page. Remember: Poor photos are worse than none at all…there is no charge for photos. To assist both the buyer and seller and to better represent the horse, BLS Horse Sales encourages your video. Please submit your 3-5 minute video on VHS or DVD to the main office the day you check in. Please contact our office on current regulations concerning out-of-state horses that will sell loose. Brand inspections are required on horses coming from brand areas in the US and Canada. Bills of Sales, permit, inspection, or lifetimes must accompany your horses and be given to check-in personnel. If you are coming from a “No Brand” area, a health certificate will be all you will need. If the horse does have a brand, and you are coming from a no-brand area, please have your veterinarian show the brand on the health papers. Horses must be paid for in full – cash, cashiers check, personal check with proper I.D. or credit card – before any paperwork or horse is released from the facility. In accordance with P & S requirements, all consignors checks will be in the mail Monday at noon for a one day sale, Tuesday at noon for a two day sale, if all required paperwork is in order. Billings Livestock accepts VISA, MASTERCARD, DISCOVER, and AMERICAN EXPRESS. Preview facilities:BLS has a full-size roping arena available to show your horses. We offer a formal preview two-hours before sale time. You are welcome to ride in the arena prior to preview time, too. During the summer months, cattle are available to show your rope horses and cutting horses..
All horses are checked in through the pull-through trailer gate located on the west side of the facility. Just pull through and unload your horses. At that time, let our check-in personnel know how your horse will be selling: in the catalog, catalog supplement, open consignment, or as a loose horse. Your horse will be tagged and numbered accordingly. Your pens are pre-assigned and tagged. Our staff will direct you to your stalling area. All pens will have fresh straw bedding, grass horse hay, and automatic waterers. Must be turned into the main office at the time you unload your livestock. Original registration papers, a signed transfer, breeding certificates, video, etc. The consignor reserves the right to no sale or not sell their animal for the price bid. All no sales must be called in the ring before the horse leaves the sale arena. The charge will be $50 per head for the catalog horses, 8% of the last bid in the open consignment session. If you do not sell your horse in the sale arena and are approached by a buyer afterwards, bring the buyer to the office. Remember: we hold your paperwork and Montana is a “BRAND” state. It’s our job to handle the transaction. Horses that are cataloged and do not come to the sale due to injury or sickness, will be recataloged at a $25 charge for the next sale. If you cannot be here to ride your horse in the sale, we do have personnel available. The standard charge for a yard ride is $40 or $20 for a lead in. Come early, be prepared, both as a buyer or a seller. Visit with the owners – and owners, be available to visit with the buyers. Have your horse ready to sell, too. Call us or e-mail. And, we thank you for your interest in our horse sales. Bill and Jann Parker, Horse Sale Managers. 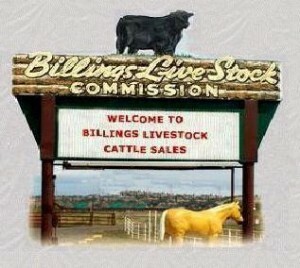 406-245-4151 BLS, 406-259-3470 home, horsesales@billingslivestock.com .